Whether you call them push cards, palm cards, cowboy cards or push pieces, they are the most ubiquitous of campaign ephemera; distributed while knocking doors, walking in parades or by dutiful campaign aides at local events. When I first started out writing for campaigns I was given a standard formula for palm cards. On one side you had the candidate’s biography, on the other a laundry list of issues and you shoehorned in pictures wherever you could. This was an unmitigated horror. Over the years, thankfully, the design of palm cards has evolved. Here are three key aspects of an effective palm card. I’d throw in a proverb here about how many words a given picture is worth. But that would be gauche. As someone once said, the more you say (write) the less they hear. Or, my favorite proverbial corollary, the mind can only absorb what the seat can endure (Morton Blackwell…I think). Limit your text to the essentials: Your name (conspicuous and everywhere), what you’re running for, the date of the election, your online information (website URL and primary social media handles), and your main campaign theme. Trying to include your entire resume and every possible issue will create a sort of text shock in the reader, whereupon seeing a small card chock full of text, they simply throw it away. High resolution, colorful images that tell a story will make the recipient more likely to read your card and remember you. Take a cue from social media where posts that use visuals, rather than lots of text, tend to be more viral. I prefer to use one large image per side of a palm card. This means for a standard, two-sided palm card you only get two pictures of the candidate. So, picking the correct image is imperative. The candidate should be the star of the image, they should be easily identifiable and smiling. Family photos can be good, but I’ve seen too many of those photos where you have to search for the candidate. You’re not designing a Where’s Waldo challenge. Don’t hide the ball. Pay attention to what story the images you use tell about your candidate. For example, if your district is demonstrating a strong anti-incumbent sentiment, using pictures of your candidate dressed to the nines whilst your state capitol looms in the background may not be the best idea. Make sure they’re colorful. I want my cards to pop so they stand out. That’s why I like bright colors. I’ve seen plenty of emotional, compelling black and white photographs over the years. Save those for your memoirs. 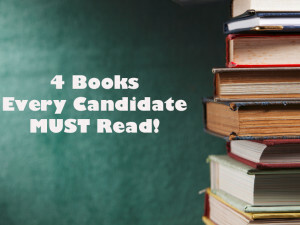 The key to building brand awareness for a candidate is choosing the correct message and repeating it relentlessly. Your palm card, digital messaging, and TV should not look like they were all designed by different people who’ve never met (even if that is, indeed, the case). No portion of a campaign is an island. 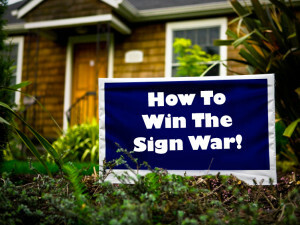 Everything has to work together to reinforce the campaign’s winning theme. So, use the same color scheme, the same images, and the same text on your palm card that you employ elsewhere. 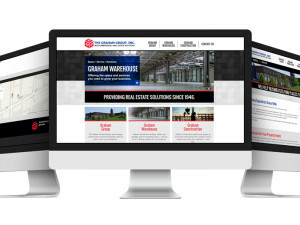 Voters will see you as more organized, serious, and professional while also being more likely to remember and internalize your key campaign message. 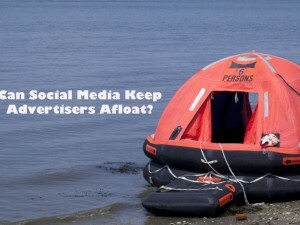 Social Media: Life Raft For Today’s Advertisers?